Boston, MA November 21, 2011 -- Today, at the Gerontological Society of America annual conference in Boston, The National Alliance for Caregiving released its most recent study of family caregivers of people with Alzheimer’s disease, entitled Caregiving Costs: Declining Health in the Alzheimer’s Caregiver as Dementia Increases in the Care Recipient. This study shows a significant decrease in family caregiver health over time as their care recipient’s dementia increases. While there are studies that indicate that the health of family caregivers may be adversely affected, especially as their caregiving continues and becomes more intense, this study specifically examines the use of formal health services in a large sample of Alzheimer’s disease caregivers. The study indicates that the strain of caring for someone with Alzheimer’s disease can cause family caregivers to use health care services – ER visits, hospital visits, doctor visits - at higher rates than non-caregivers of the same age, at an average annual cost increase of $4,766 per caregiver. The study was based on a secondary data analysis of a segment of the Reach I caregiver population whose healthcare was monitored over 18 months. According to Caregiving Costs, the self-rated health scores of family caregivers caring for persons with Alzheimer’s disease declined steadily and significantly over the length of the study. Also the use of all types of healthcare services increased, some significantly. For example, emergency room visits and hospital-based services doubled over that time. Caregiving Costs was produced by Richard Schulz, PhD, and Thomas Cook, PhD, MPH from the University Center for Social and Urban Research, Department of Psychiatry, University of Pittsburgh, in collaboration with the National Alliance for Caregiving and supported by The Alzheimer’s Immunotherapy Program of Janssen Alzheimer Immunotherapy & Pfizer Inc.
For more information on the impact of family caregiving go to www.caregiving.org. 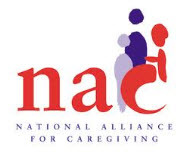 Established in 1996, National Alliance for Caregiving is a non-profit coalition of national organizations focusing on family caregiving research and other issues. Alliance members include grassroots organizations, professional associations, service organizations, disease-specific organizations, government agencies, and corporations. The Alliance conducts research, does policy analysis, develops national best-practice programs, and works to increase public awareness of family caregiving issues. Recognizing that family caregivers make essential social and financial contributions toward maintaining the well-being of those they care for, the Alliance is dedicated to being the foremost national resource on family caregiving research to improve the quality of life for families and care recipients. For more information, visit www.caregiving.org.